When wearable meets gaming, it turns a PlayStation into a Ra.One. And the result is a 'super suit' that allows a more immersive gaming experience but outdoors. 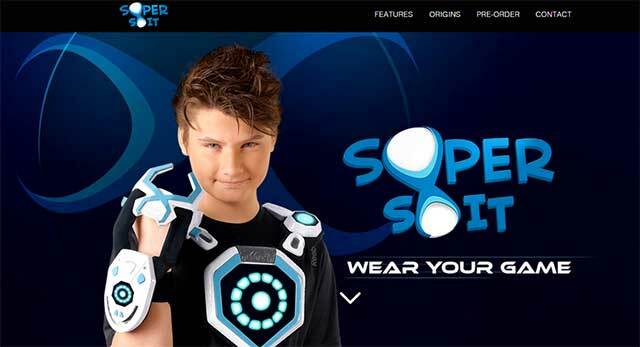 This is what Bangalore-based offline gaming products startup MadRat Games Pvt Ltd is aiming for, as it launched SuperSuit, a wearable gaming platform for kids and families at CES 2016 in Las Vegas. "SuperSuit aims to take away kids from screen dominated games. I feel SuperSuit is the future of gaming. For children, outdoor play is already the favourite mode but they are unable to do that due to shrinking outdoors in cities and restrictions due to safety concerns in suburbs. Kids can claim that freedom back with SuperSuit," said Rajat Dhariwal, founder, MadRat Games. Dhariwal says that as a wearable gaming platform, SuperSuit not only reduces screen time, but also increases social interaction and physical activities and offers an opportunity for kids and families to go outdoors and play with each other. SuperSuit has two units â€“ Vest and Glove. The Vest records hits and displays scores in the form of lights, audio and haptic feedback. The Glove enables interactivity between players with triggers to send beams. It incorporates a proprietary gesture engine which allows a wide range of gestures which trigger special powers, creating the charm of telekinesis. SuperSuit's companion smartphone app allows parents to monitor their children's fitness data and track their location for safety purposes. The gaming products startup had in November 2014, raised $1 million (around Rs 6.2 crore) in funding from a clutch of investors, including Sachin Bansal and Binny Bansal (not related), co-founders of home-grown e-commerce giant Flipkart.com. The company was founded in 2010 by three IITians â€“ brothers Manuj and Rajat Dhariwal and Madhumita Haldar.